Show off your love for the red, white, and blue with this stylish Americana Arm Party Trio custom designed! 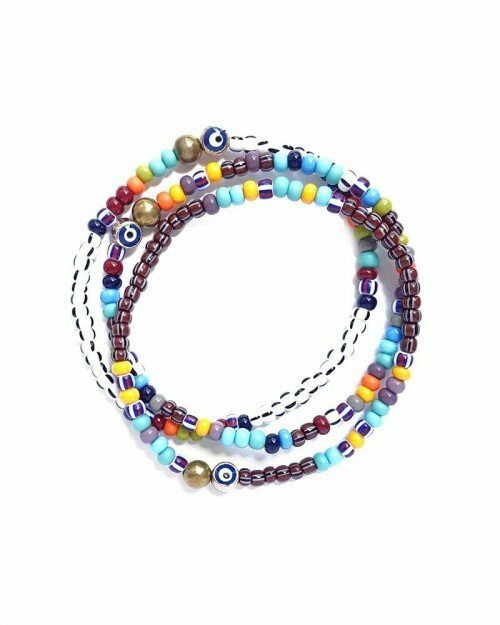 This stack is a fun, colorful mix of our glass seed beads and our newest Ojo bracelet in gold. Glass seed beads with gold plated and tassel accents.